Need some help waving the flag at State of Origin time? Kit the kids out in our 2019 NSW Pro Jerseys and not only will you present a united front at the game, but your kids will be the envy of their mates at training too. Are you a family of mad keen Blues fans? 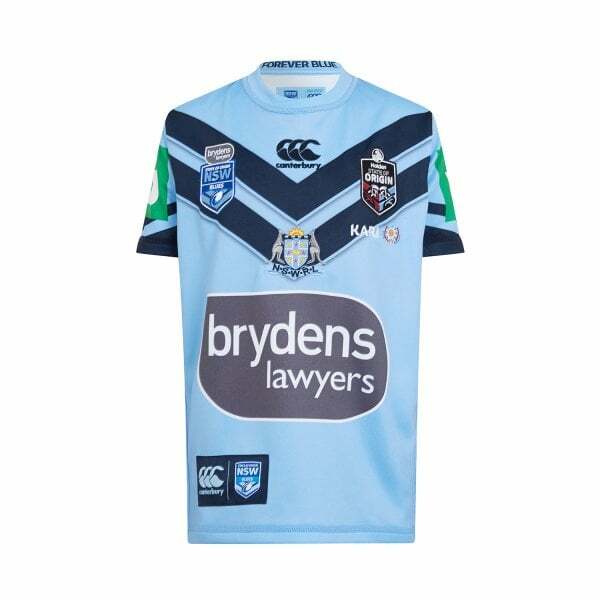 Why not deck out your junior supporters in Canterbury’s Pro Jersey for kids from our 2019 NSW State of Origin On Field collection. As well as showing the flag at Origin games, these jerseys are quality training wear. They’re made from 100% Polyester and feature Canterbury’s state-of-the-art VapoDri moisture wicking technology that wicks away sweat to keep them cooler and drier for longer. It features authentic team and sponsor logos on the chest and a replicated on-field 2019 design. So come Origin time, they’ll show everyone you’re a family of diehard NSW supporters.